Let Us Handle Your Landscaping Design & Construction Needs! 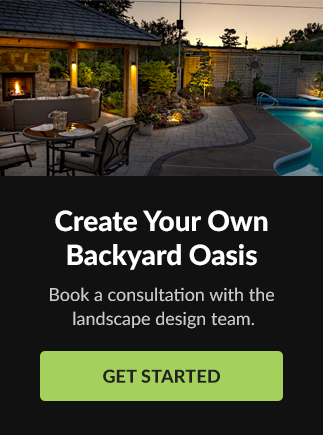 Niagara Outdoor Landscaping is your best choice for landscape design, construction and maintenance. Learn more about our services below, or contact us today for a free consultation. We're with you from start to finish. You'll be provided with a step-by-step 'Design Process' outline to help you understand how we'll get the job done. We do not consider any job complete until the client is completely satisfied. Our professional, certified landscape designers know their stuff, and are on staff and available at all stages of the process. Having an expert staff of in-house trade experts means we can make design decisions with real-world insight to ensure we make your plan a reality, from start to finish. We know what we do best, and if you need something outside our areas of expertise, we'll contract the best-qualified pros for the job. You'll continue to deal with us only, and the job gets done. We create functional landscape designs that combine your aesthetic vision and needs with our expertise and experience. Our end-to-end construction process is managed entirely by our friendly and professional project management team. Professional landscape maintenance and grounds maintenance services to keep your property looking its best. Niagara Outdoor has been handling our landscaping needs since 2009. Their attention to detail, prompt response time and knowledge have proven to be, without a doubt, the right choice for our company.